Allow to cool in tin before slicing into squares – enjoy! 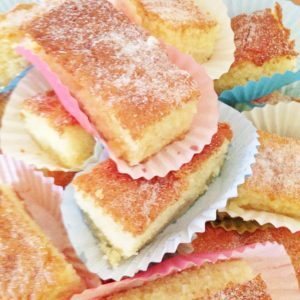 Can be served with fresh cream, custard or icecream – but still warm and moist from the oven it’s perfect on it’s own! 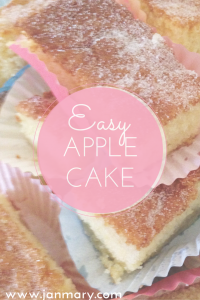 So there you have it – a delicious and easy apple cake recipe. If you enjoyed this recipe, why now follow my Baking Pinterest Board. Follow JanMary’s board recipes – baking on Pinterest.